The restaurant L'Etoile du jour, located in the city center of Abbeville, is a gourmet stop not to be missed in this high-place of gastronomy. The Star of the day welcomes you all year in this house of the sixteenth century where secular woods shine patina time. Completely restored, the inn has respected the spirit of the place. In the beautiful decor of this house at the wooden bridge and flower terrace, the warm welcome is reserved for you in an intimate and friendly. A nice cocktail card and a whiskey cellar is to discover. 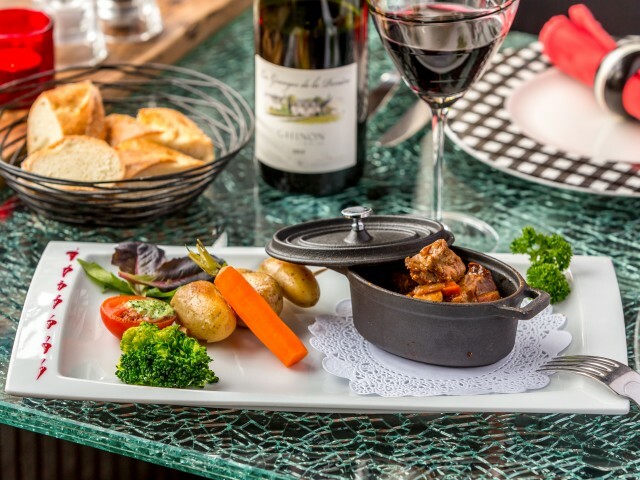 As for the chef Jean-Louis, whose reputation is well established over the past 20 years, it's a festival of the palate and gastronomy that he invites you with his market cuisine and a menu renewed throughout the seasons. . See you soon in your restaurant on Abbeville, L'Étoile du jour.